Combine shallot, SANE Honey, mustard, and salt in a jar with a lid; add melted extra virgin coconut oil, lemon juice, and vinegar. Cover jar with lid and shake until dressing is thickened. 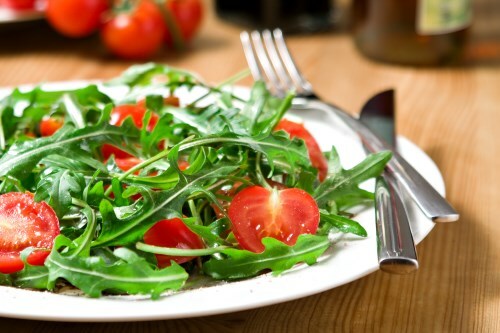 Place arugula and tomatoes in a bowl and drizzle dressing over greens; toss to coat.